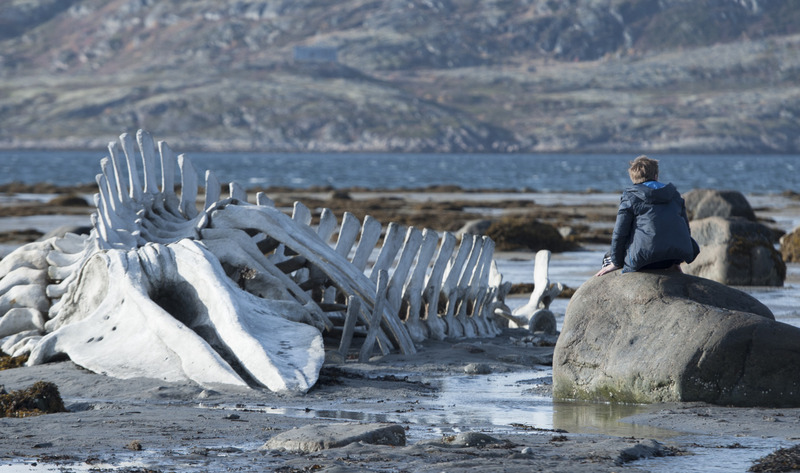 Andrey Zvyagintsev’s Leviathan embodies the very spirit of the mythical and biblical sea-beast it’s titled after: Sedate, powerful, and difficult to grasp. Leviathan is a difficult film, but not in a Alejandro Jodorowsky-wtf-is-going-on way. It’s challenging in that for most moviegoers there may not be enough consistent and obvious spectacle to keep them entertained. Leviathan is a demanding film with a plodding pace meant to give the audience time to answer the questions each frame presents. The plot, however, is not a difficult one. On the surface it’s a modern (and more pessimistic) reworking of the biblical Job’s story. But below its grey placid waters lays an intricate network of symbols calling for an investigation into morality, corruption, and truth. 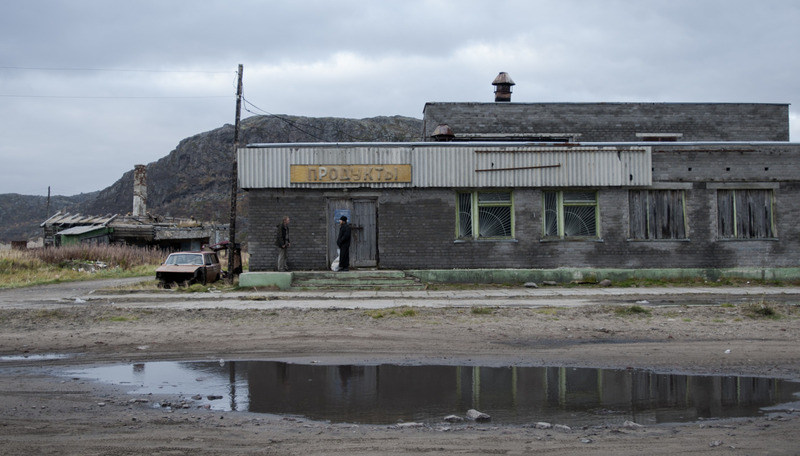 The film shows us the life of Kolya, our proverbial Job and handyman living in a remote ocean-side town in northern Russia. The crooked mayor of the town, Vadim, wants to repossess Kolya’s home using a legal system bent in his favor. This inciting moment is the primary movement of the film, but it’s the grounded tale of love and loss that propels Leviathan through its dark waters. Zvyagintsev’s greatest achievement in Leviathan may be that he never allows his thematic and artistic musings to get in the way of his characters’ story. The pacing is slow, but lulls the viewer into a reality full of artistic attention to detail. The symbols are many, yet never preach. Instead Zvyagintsev uses character’s expressions, immersive shots, and formalist composition to gently suggest its deeper meanings. Look closely and you can see the representation of the modern institutions that rule modern life not only in Russia, but here in the states (the film was originally meant to take place in the U.S.). This balancing act is incredibly difficult, especially in a film so steeped in allegorical intention. While Leviathan’s script, symbolism, and acting give the movie its meaty weight, it’s the cinematography the kept me enthralled. Frame for frame, Leviathan touts some of the best natural light photography I’ve ever seen in a film. Every shot is set with the formalist composition of a Russian realist painting. The editing moves you from frame-worthy image to frame-worthy image. The result is that your eyes, heart, and mind are led in a way that pushes you to look and feel deeper. Leviathan begins with the crashing of waves on rock, followed by the cinematic creeping through a sparse landscape in way that’s reminiscent of 2001’s first shots. It’s this visual rip current that pulls you into its world of a broken and skeptical, but good people trying to stay afloat against the Leviathan. You find yourself rooting for the freedom and justice of these vodka chugging heroes. As westerners, we expect morality and “right” to be upheld. 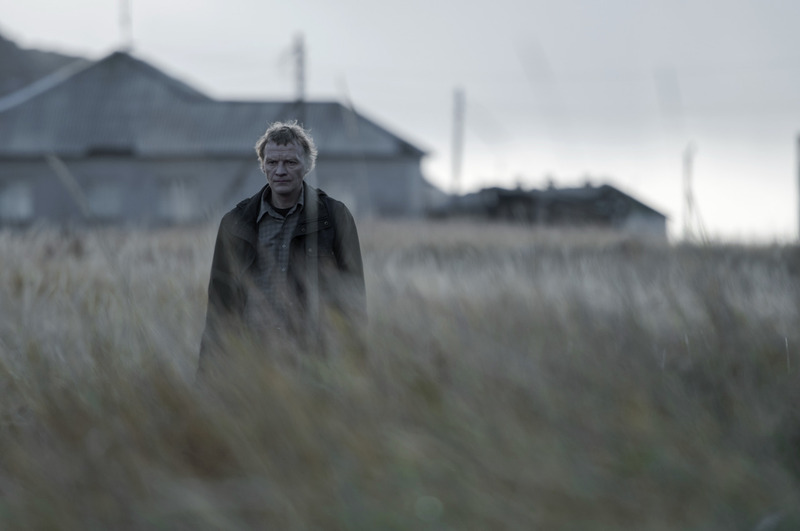 Zvyagintsev’s denies the viewers these reconciliations, opting for the brutal nature of an Old Testament reality. By the end, these opening wakes become corruption: Cyclical, persistent, and as erosive as the ebb and flow of the ocean.